Take a dip in the pool or soak up the sun on a longer with a refreshing cocktail in your hand. Being on a vacation is not an excuse to miss a workout. Cook a delicious breakfast or dinner in your own private kitchen. The children's pool, arcade, and scheduled activities ensure the little ones will never be bored. You're seconds away from a refreshing cocktail thanks to the poolside bar. One- and two-bedroom residences have balconies, perfect for enjoying the view. Unwind from your busy day with a soak in the jetted tub, in one- and two-bedroom residences. 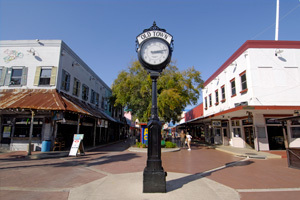 Star Island VR is set on the banks of Lake Cecil, near the best theme parks and attractions that Orlando has to offer. When it comes to underwater fun, the resort does not disappoint. You’ll have two outdoor pools to choose from plus a children’s pool that the little ones will love. Go for a swim or lounge with a cocktail from the poolside bar and get comfortable; you’re going to be here for a while. The resort features a massive fitness center, perfect for getting your cardio on. Or get in touch with your inner athlete. There are nine tennis courts, basketball courts, a driving range and a putting green to perfect your shot. Kids will love getting in on the action with mini golf. Reward yourself for a vacation well planned with a visit to the on-site full-service spa for a massage, facial or nail treatment while the kids are occupied in the arcade or on the kid's playground. Star Island VR also offers daily scheduled family and kids activities. The on-site deli and marketplace offers essentials and serves salads, sandwiches, burgers, breakfast sandwiches and gourmet coffee. The Mediterranean-style condos at the resort provide all of the comforts of home. Junior one-bedroom condos sleep four guests and have kitchenettes allowing you to prepare the basics. One- to two-bedroom condos sleep four to six guests. Take the family along to the nearby Publix for groceries to stock your fully equipped kitchen. Back at the resort, bake a batch or two of red velvet cookies and recruit the little ones to assist. You’ll be thankful for the in-suite washer/dryer when the flour and eggs decide to go rogue. There’s no need to miss the latest episode of your favorite show, thanks to your flat screen TV with HBO. Or take advantage of the DVD player and have a family movie night. Bring favorite movies from home, pop some popcorn and call everyone into the living room. First kid on the couch picks the movie. After the kids are in bed, enjoy a relaxing soak in the jetted tub. Thanks to the Sealy Posturpedic mattresses, it shouldn’t take long for anyone to drift off to dreamland. Star Island VR Resort is less than thirteen miles from the best theme parks in Orlando. SeaWorld® features rides, animal experiences and animal shows. Did you know that Mako – the tallest, fastest and longest rollercoaster in Orlando – is at SeaWorld®? Kraken Unleashed is a floorless virtual reality rollercoaster. Little ones will love Shamu’s Happy Harbor. Have you ever wanted to get up-close and personal with a dolphin? Now you can! Visit Antarctica: Empire of the Penguin to see five different species of penguin. Shows include Dolphin Days, Ocean Discovery (with orca whales) and Sea Lions Tonite. Walt Disney World’s® Magic Kingdom® is where you’ll find Country Bear Jamboree®, Pirates of the Caribbean® and It’s a Small World®. Ride the Seven Dwarves Mine Train and dine in the Be Our Guest Restaurant® in New Fantasyland®. Experience movies like never before at Universal Orlando®. E.T. Adventure®, Shrek 4-D® and Transformers: The Ride 3D® can be found at Universal Studios®. Universal’s Islands of Adventure® is home to the Jurassic Park River Adventure®, Skull Island: Reign of Kong® and The Amazing Adventures of Spider-Man®. Muggles, rejoice! Now you can finally experience magic in The Wizarding World of Harry Potter®, located across both parks. Harry Potter and the Escape from Gringotts and Flight of the Hippogriff are in Diagon Alley, located in Universal Studios®. Board the Hogwarts Express (with a park-to-park ticket) to Hogsmeade in Universal’s Islands of Adventure®. There you can ride Harry Potter and the Forbidden Journey and try a butterbeer at Three Broomsticks.